Home of the $69.95 diagnostics. We always charge a flat $69.95 for Diagnostics. No other hidden fees or trip charges. 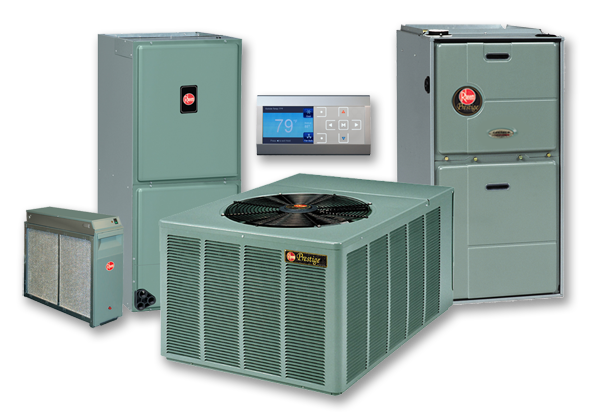 We're not just a furnace and air conditioning install company. We're specialists at fixing your heating and cooling problems. We always do it right the first time and quote you up front. We bid our jobs with straight and upfront pricing for the job at hand. We don't give you an invoice at the end of the job with questionable hours and mystery parts. A poorly running furnace or return air unit can be a death trap. We know this all too well. We have always, and will always, have 24/7 emergency services available for you and your loved ones. Craig, the owner, has always gone the extra distance for my condo and for my parents' home. He always makes sure the job is done right the first time and is eager to please. His professionalism, with a sense of humor, make it pleasing to have him in our home. Wonderful, ethical company to work with. Great technicians that show up on time. Everyone we have referred to Sparks Heating & Air Conditioning have been very pleased with their honesty and workmanship. I recently had Sparks heating and air conditioning service our furnace and air conditioning units. [...] He was very thorough and checked out our air conditioning and our furnace. He provided some extra tips on how to conserve and make some adjustments that would reduce our power costs. [...] Very good customer service! Excellent service! They were able to come out same day and came within the time frame they stated. They were very knowledgeable, friendly and inexpensive! Sales, installs, service, replacements, parts, and more. For all of your furnace, heating, air conditioning, and cooling needs. We have it. We guarantee all of our work and I say again, customers always come first.